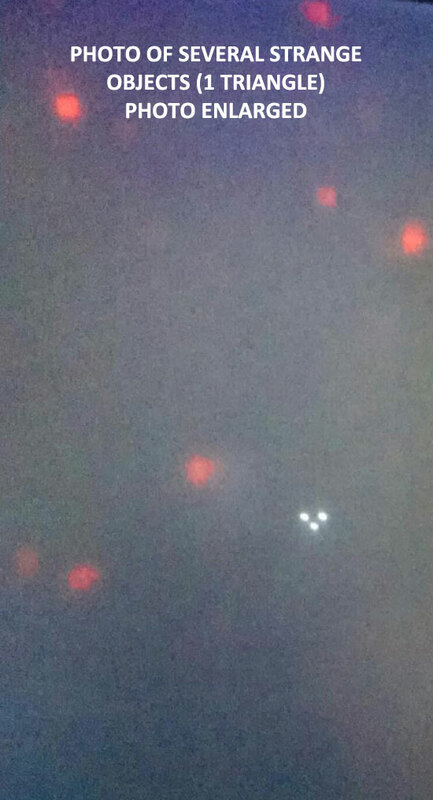 Man Finds Flying Triangle UFO & Other Red Lights in Photo. ENLARGED PHOTO OF SEVERAL STRANGE LIGHTS & FLYING TRIANGLE. This entry was posted in Discovered anomaly in photo, Formation of Lights, glowing red, Orb(s) of Light, Photos, Triangular Craft, UFO Sightings 2015, UFO sightings California. Bookmark the permalink.